This week is very simple but so scrumptious you will want to cook it every day like I do! I have always enjoyed zucchini in stews, casseroles and pasta but not much as a stand alone side dish. This took less than 5minutes but the flavour I still remember! Slice your zucchini with a mandolin slicer or sharp knife so they're just under 0.5cm thick. Heat a large frying pan over a high heat and pour in a good splash of olive oil. 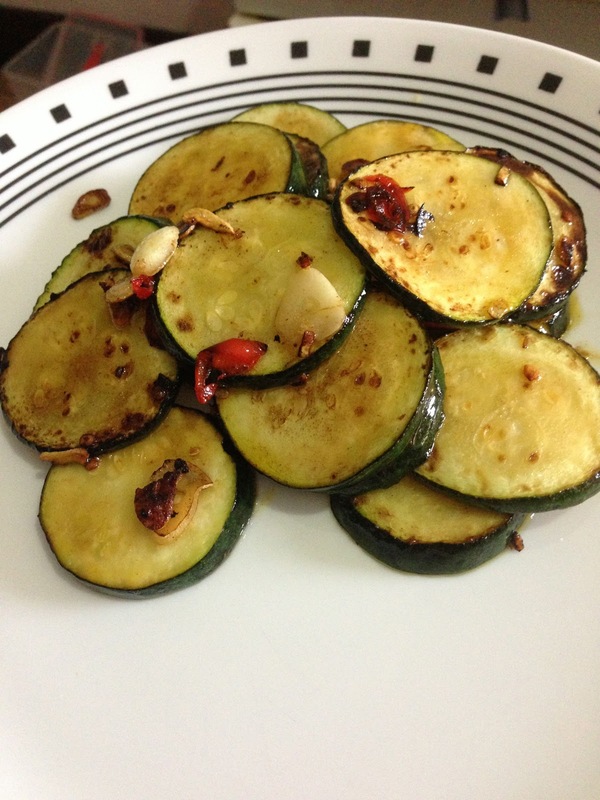 Drop the zucchini slices into the pan and fry for 2 minutes with the chilli and garlic until the zucchini begin to brown. Season well with salt and pepper and add the lemon juice and butter and cook for another 2 minutes. 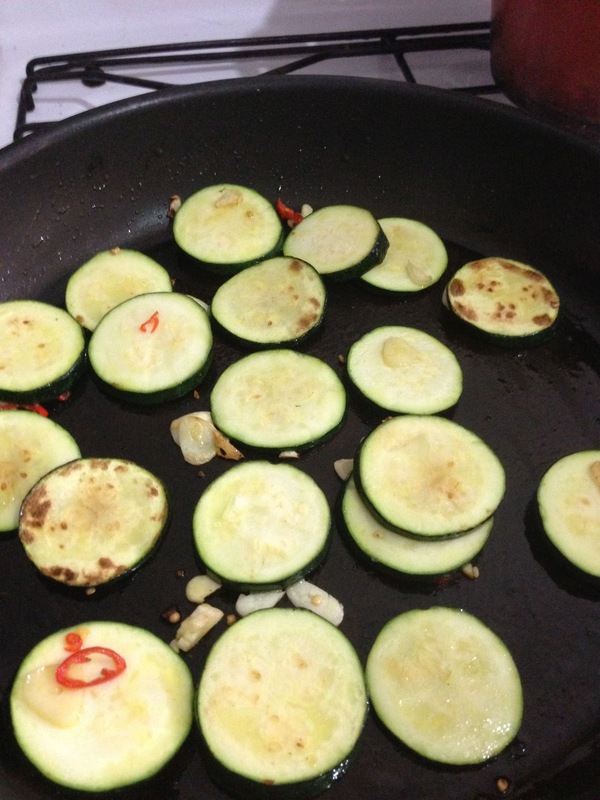 When the lemon juice has evaporated, take the pan off the heat, divide the zucchini onto plates and serve. Changes Made: One large zucchini instead of 4 small ones, thats it! Results: Amazing, so simple, had it with satay chicken and rice but will definitely be making it for a snack. Yum! I am doing it this weekend for sure!